We have gained recognition from a broad range of clients in various industries and solved their problems. 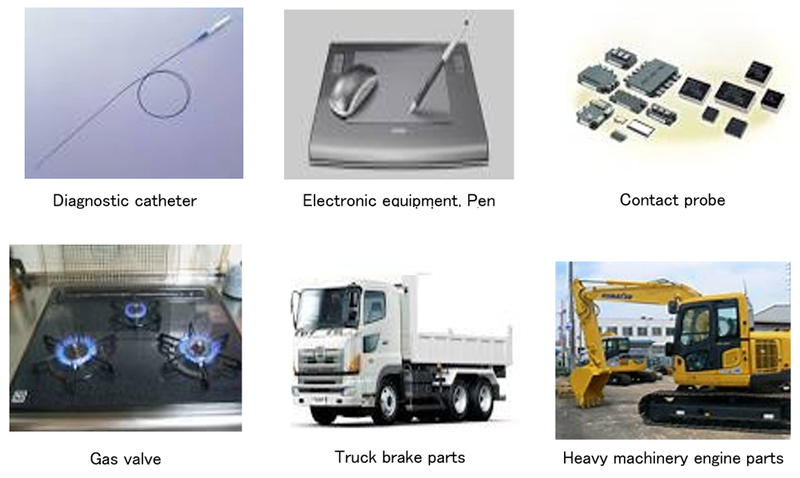 With our special steel processing technology, we will meet your various needs. We can be your one-stop supplier! With excellent tensile strength and toughness, it is mainly used for valve springs. The era in which heat resistant materials are INCONEL and MONEL is over. While INCONEL and MONEL have a heat resistance factor of approximately 400 ℃, UDIMET is up to 700 ℃. It has high tensile, high temperature strength and excellent corrosion resistance. Its performance is equivalent to or slightly superior to UDIMET. It is useful in the heat environment such as muffler, engine and furnace. It has superior hydrogen embrittlement resistance and was developed for hydrogen car. Most metals are brittled in hydrogen environment and their performance is deteriorated.?? HYBREM can solve this problem. Ti-Ta Alloy has excellent biocompatibility. Magnetic permeability is lower than Pt and Tungsten, and equivalent to pure titanium. It is superior in performance with high tensile strength and low Young窶冱 modulus and is expected to use for implant and MRI material. In the electronics industry, beryllium copper with high strength and conductivity has been often used. However, there is some concern that beryllium contains harmful substances. To solve this issue, ELEMETAL was newly developed. It is an eco-friendly material and its performance is equivalent to beryllium.